"I am surrounded by intelligent people working in Accenture Strategy—great thinkers, true thought leaders." As a Senior Manager in Technology Strategy, I help IT organizations at Communications, Media & Technology clients strategize ways to use new processes and technology to better support their business counterparts. I first joined Accenture as an analyst around 10 years ago and my focus has been on Technology Strategy ever since. It’s been really exciting to grow my career at the same time as the practice continues to grow and evolve. I typically work at the client site from Monday to Thursday, and that has provided the opportunity to work in many different cities across the U.S. One of my tips to keep that travel fresh is to get to know the customer service representatives you interact with on a weekly basis or find new restaurants or activities to do in each city. On Fridays, I’ll often go into the office and connect with the wider Strategy team, and there’s often a social event like a Happy Hour or team get-together to kick off the weekend. Even though we might all be working in different places, our collaboration tools and regular touchpoints, like our Monthly Tech Strategy Community Calls, gives us the opportunity to stay connected with the practice, hear about some of the recent work that we’ve been doing and meet new joiners to the firm. My free time is spent playing sports, and self-teaching new languages, both spoken (Chinese) and programming (Python, JS, Ruby, etc). I also like to mix music. 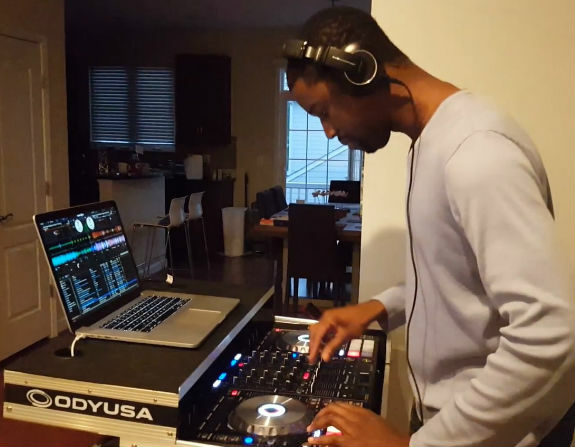 I have a DJ set up at home and I’ve been practicing for the last several years. "There’s a lot to be said for coming at a problem from different angles." In such a big company, and a global practice like Technology Strategy, it’s important to maintain strong relationships with your colleagues. Use opportunities like our Community calls, Center of Practice calls or local office events to reach out to others in the practice or across the company who may be working on areas that you’re interested in. It’s up to you to make these opportunities happen and find additional ways to continuously learn and contribute to the development of the practice.